I seasoned it 3 times with canola oil (put in oven at 500 degrees for 1 hour), and only cook with avocado oil (because of its high smoke point). After letting the pan pre-heat on the "4" setting on the stove (medium heat basically), the smoke appears right when I place the oil in the pan. 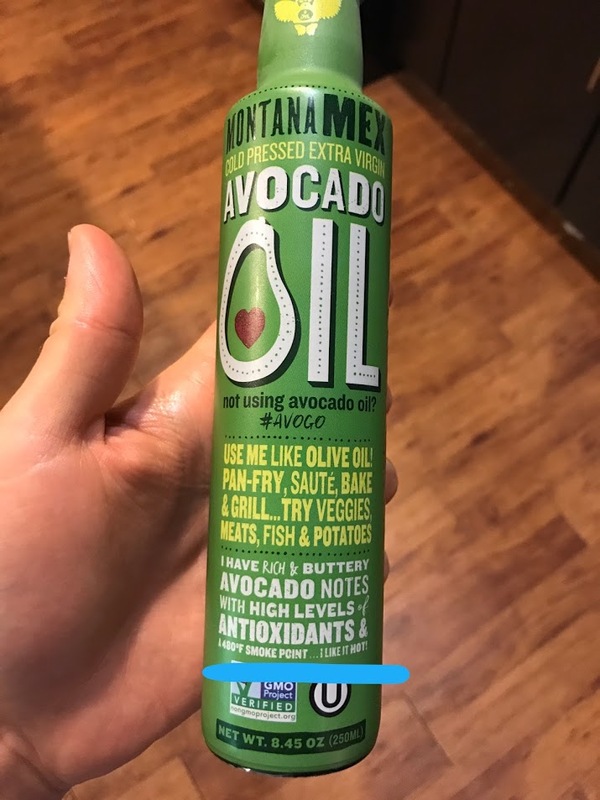 Now, avocado oil is suppose to have one of the highest smoke points, and for the pan to start smoking at medium heat has me very very confused. While there is no indication on the oil of it being refined, it advertises on multiple sections of the container that it is intended for high-heat cooking. As for the pan, while there are uneven patches, the surface is smooth and undetectable if you run your finger over the sections. You might want to state how long you have been preheating the pan. Also, are you using a glass-top stove or gas? I'm assuming the latter (from my experience, gas usually manages to heat things up a tidbit quicker). That being said/asked, I doubt the pan is the problem (without detailed photos, nobody here can judge on that, but I assume you would have observed something unusual about the pan), it's probably your timing. The oil becomes more 'runny' due to absorbing more heat. The oil will start to run in streaks and actually become less runny again, increasing viscosity. This is not too long/shortly before it will smoke. Now, once at 2., you can reduce the flame (gas stove). If you're on a glass top, be quick to maybe even temporarily switch off the stove (the top will stay hot, anyways) and be quick about it, because glass tops retain heat and will keep heating your pan. Either way, stage 2. is where you want to saute/stir fry stuff. For merely frying pancakes, this might be too hot, unless the pancakes are really thin. You can also try this test, if you don't feel like putting the oil into the pan too early (I like to put in the oil as late as possible, so it isn't heated unnecessarily much). I have tried it with a cast iron pan, and it worked alright there, as well, as far as I can remember. Last but not least, just to double-check: Is your Avocado oil refined? Because if it isn't, I doubt it has a high smoke point. "Medium heat" is not a stove setting. "Medium heat" is the heat at which you cook the average dish. I would even argue that it is not a temperature, but a rate of heat transfer. For each combination of stove, pan, heating time and dish, you will achieve medium heat at a different setting of the knob. There are foods which need high heat, and then your oil will always smoke, no matter which you choose. But if you are making a food which needs medium heat, just use a lower setting than the one you are currently using. To mirror off what rumtscho mentions about heat, I frequently cook with both cast iron and regular non-stick. I use a much lower setting for cast iron then I do with non-stick. For example, on my stove, if I'm doing something like pancakes, I'll have the setting at 3 or 4 on non-stick pans but only at 1 for cast iron. I think simply your pan is too hot. Not the answer you're looking for? Browse other questions tagged oil cast-iron smoking or ask your own question. 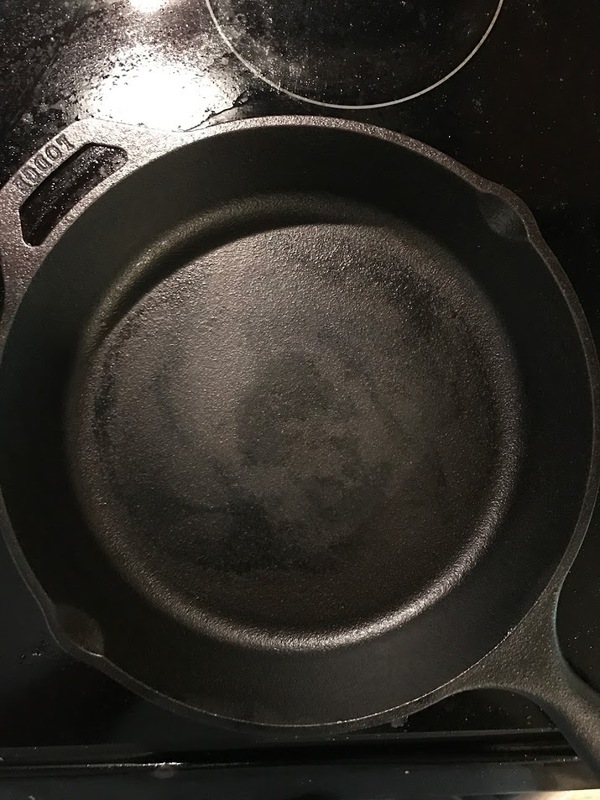 Is it possible to destroy the seasoning on cast-iron by getting the pan too hot?